This Reference Material can be used to qualify the Signal to Noise Ratio of a spectrofluorometer near the limit of detection and hence indicate its ultimate sensitivity. Traditionally, the performance of spectrofluorometers has been tested using dilute solutions of known fluorophores , but to use this approach at or near the detection limit of a high-performance instrument is impractical because of the very low sample concentrations required. An alternative approach is to use the phenomenon of Raman scattering. Because of the very small number of photons involved in Raman scattering, the signal levels are very low and comparable to those produced by very low analyte concentrations in normal fluorescence measurements. 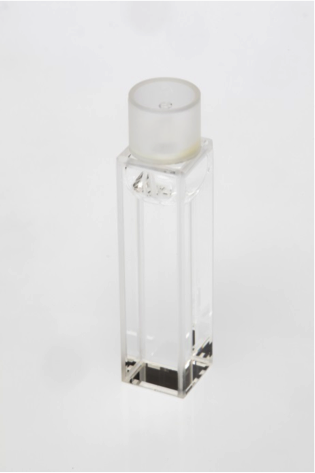 Pure water exhibits a Raman shift of tens of nanometers when excited by UV or visible radiation, so the Raman peak can be readily identified. 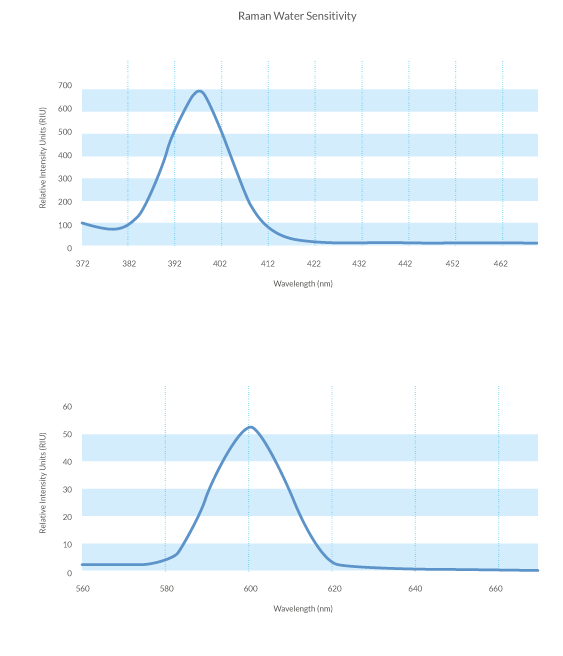 The signal –to-noise ratio may be calculated from these spectra using the instrument software. Note that the calculated ratio will depend on the calculation protocol employed by the instrument manufacturer and therefore 'compliance to specification' limits will be specific to the spectrofluorometer type under test.